Taco the season to be jolly! You may still be making your Christmas list and checking it twice, but at the Hermosa Beach Fish Shop, the list is ready to; they just need a little help from you! While you’re hunting for the perfect present for your friends and family, why not pick up an extra toy or two for those in need? 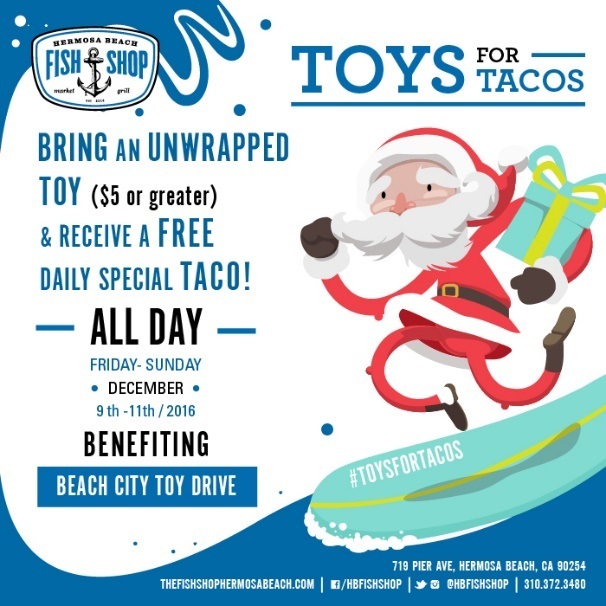 From December 9 through the 11, the Hermosa Beach Fish Shop will be hosting Toys for Tacos! 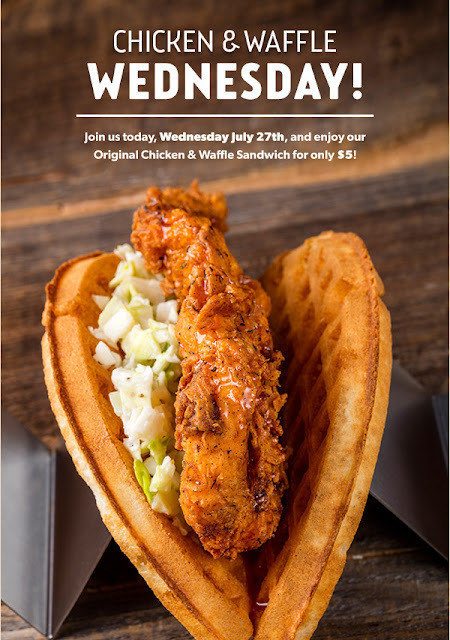 Bring an unwrapped toy valued over $5.00 and receive the daily special taco for free! All toys collected will be donated to benefit the Beach City Toy Drive. Drop by Hermosa Beach Fish shop December 9th to the 11th (Friday through Sunday), grab a drink and help spread the holiday cheer one toy and taco at a time!